"With this study, we were able to demonstrate the potential of artificial neural networks in radiological diagnostics," lead researcher Philipp Kickingereder from the Department of Neuroradiology at Heidelberg University Hospital, told a news portal. 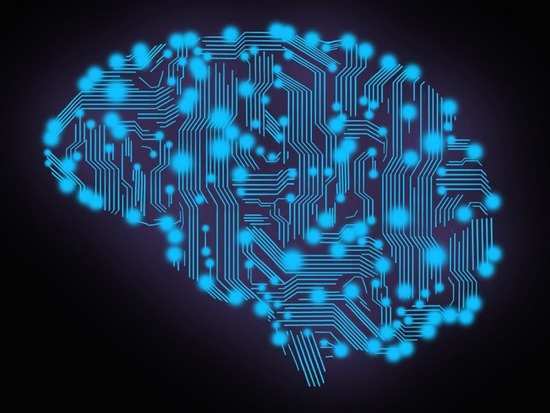 According to the team, the machine learning methods are trained on standard magnetic resonance imaging (MRI) and are more reliable than radiological methods used to treat brain tumours. The team also say that errors can occur in contrast-enhanced MRI scans and show different results. "This can have a negative effect on the assessment of therapy response and hence the reproducibility and precision of scientific statements based on imaging," Martin Bendszus, Medical Director of the Department of Neuroradiology at the University Hospital in Heidelberg, told a news portal. However, in the new study, scientists describe that machine learning methods in radiological diagnostics can be a total game changer. Close to500 brain tumour patients were part of the study. Researchers used a reference database with MRI scans of all the participants. By using artificial neural networks, algorithms were able to detect and locate the brain tumours. "The evaluation of more than 2,000 MRI scans of 534 glioblastoma patients from all over Europe shows that our computer-based approach allows a more reliable assessment of therapy response than the conventional method of manual measurement. We were able to improve the reliability of the assessment by 36 per cent. This can be crucial for the image-based assessment of therapy efficacy in clinical trials. The prediction of overall survival was also more precise with our new method," Kickingereder told a news portal. This method could especially benefit patients with gliomas - a type of tumour that impacts the brain and spinal cord. It is a very common brain tumour in many adults and can be a challenge to remove via surgery. Because tumours are highly resistant, treatments like chemotherapy or radiotherapy can be ineffective. That is why there is an urgent need to develop new methods to treat the disease. "We want to advance the technology for automated high-throughput analysis of medical image data and transfer it not only to brain tumours but also to other diseases like brain metastases or multiple sclerosis," researcher Klaus Maier Hein told a news portal. The study was originally published in The Lancet Oncology. Did you know of these things about ADHD? 6Did you know of these things about ADHD?